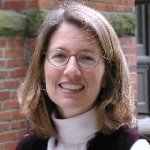 Priscilla Pope-Levison is Professor of Theology and Assistant Director of Women’s Studies, Seattle Pacific University. Previously, she held faculty positions at The Divinity School, Duke University and North Park University. Her most recent book is titled, Turn the Pulpit Loose: Two Centuries of American Women Evangelists (Palgrave Macmillan, 2004). Other books include Evangelization in a Liberation Perspective (Peter Lang, 1992) and with her spouse, John R. Levison, Jesus in Global Contexts (Westminster John Knox, 1992) and Return to Babel: Global Perspectives on the Bible (1999).